Sensua! Kiss by Pinson Cosmetics - Pinson Cosmetics Anti-Aging Consultant/ Makeup Artist 470-219-8402 Anti-Aging Makeup Artist Anti-Aging Consultant developed Sensua! Kiss for Guaranteed Results using pure ingredients. Internationally Famous Barbara Pinson: Master Anti-Aging Consultant/Makeup Artist using only award winning, pure, botanicals with Guaranteed Results! 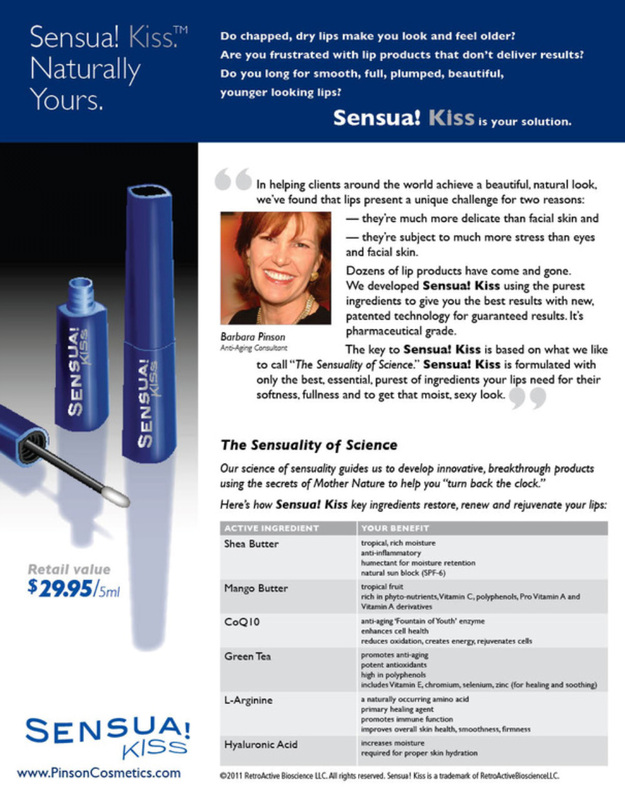 Anti-Aging Consultant developed Sensua! Kiss for Guaranteed Results using pure ingredients!